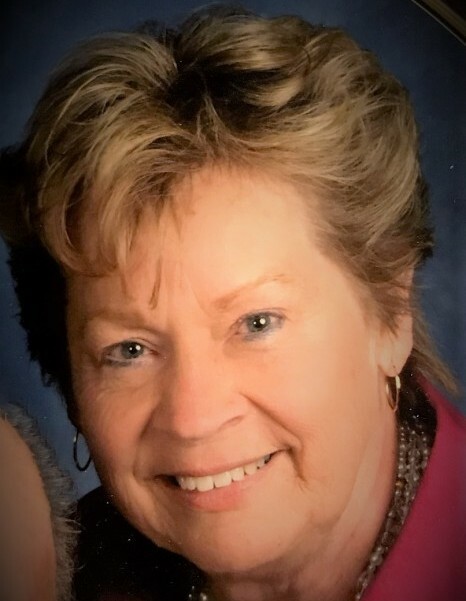 Lorraine A. Griffiths, 79, of Decatur, Indiana passed away on March 27, 2019 at Adams Memorial Hospital. She was born in Decatur, Indiana on April 24, 1939 to the late Orley and Helen (Berning) Walters. On June 22, 1957 she married Nolan L. Griffiths. She was a member of the Zion Lutheran Church and its Altar Guild of which she served as president for 40 years and attended the weekly Bible Study there. Lorraine worked at Lincoln Life, General Electric, was a Homemaker, a receptionist for Dr. Gresla, helped her husband farm, served 1 term as Treasurer for Adams County and drove bus for Adams Central School for over 30 years. She loved gardening, sewing and spending time with her family and a group of 5 special ladies. Lorraine is survived by her husband Nolan of 62 years; 2 sons, William (Diane) Griffiths and Samuel (Lana) Griffiths, all of Decatur, IN; 2 brothers, Don (Bonnie) Walters of Ft. Wayne, IN and Charlie Walters of Decatur, IN; 4 sisters, Barbara Kohne of Decatur, IN; Pamela (Lester) Smith of Decatur, IN; Kathy (Dennis) Fenker of Columbia City, IN and Joanne (James) Wetzel of Decatur, IN. She also has one grandson, Benton Griffiths. She was preceded in death by a son, Mark Alan Griffiths. A Visitation will be held on Sunday, March 31, 2019 from 11:00 a.m. to 5:00 p.m. at Haggard-Sefton-Hirschy & Zelt Funeral Home. The Funeral Service will be held at Zion Lutheran Church on Monday, April 1, 2019 at 11:00 a.m., with visitation at the church from 10:00 to 11:00 a.m. Pastor James Voorman will be officiating and burial will follow at the Pleasant Dale Cemetery. In lieu of flowers memorials may be given to Zion Lutheran Church or A.C.C.F. Angel Cancer Fund.